In 1991, Michael Goldstein and Jenn David were two idealistic Brown University students hoping to make a difference in the world. 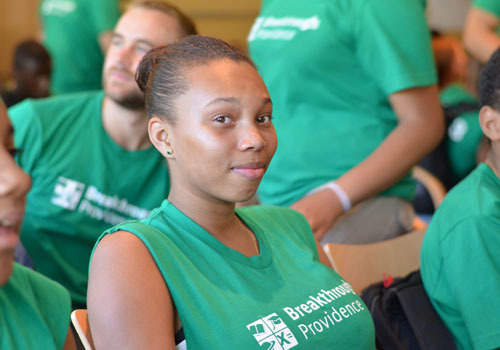 Having both taught at Summerbridge San Francisco as college students, they felt that Providence needed a program that would close the gap between the ease of elementary school and the challenges of high school. We partnered with the national Breakthrough Collaborative and opened our doors during the summer of 1992 with just one class of rising middle school students and an unwavering belief in the power of a “students teaching students” model. Today, our community includes over 2,000 student and teacher alumni.